The 1st Caspian International Realty and Investment Fair, Caspian Realty, will be held from the 20th to the 22nd of February 2019 at Baku Expo Centre. The aim of the exhibition is to provide a new impetus to the development of the real estate market of Azerbaijan, to attract local and foreign investments in the sector, to build new international cooperation and to exchange experiences, to demonstrate a number of interesting projects in our country and especially in the capital, to create a unique business environment, and to use this unique opportunity for the exchange of international experience. The exhibition enjoys the official support of the State Committee on Property Issues of the Republic of Azerbaijan, the Azerbaijan Export and Investment Promotion Foundation (AZPROMO), and the National Confederation of Entrepreneurs (Employers) Organisations of the Republic of Azerbaijan. The event will be attended by both local and foreign companies that build and sell real estate, and provide financial, legal, consulting and design services; among other attendees the exhibition will welcome highly qualified specialists from various real estate sectors, as well as investors and government representatives. Caspian Realty 2019 will present commercial, residential, trade and rural real estate, including various investment projects and design services. Participating companies will find a wide range of opportunities to bolster their income potential; the exhibition serves as a venue where participants can meet with potential customers during three days and establish direct contact with key decision makers. The exhibition also provides a unique opportunity to benefit from data on construction projects in both Azerbaijan and abroad. 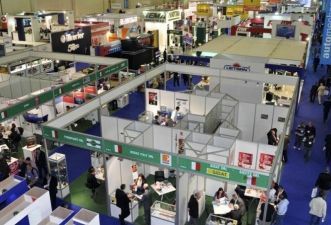 Within the framework of the exhibition, it is planned to organise a rich event program, effective sessions and conferences, as well as organizing "B2B” meetings between participants and their target audience. The exhibition invites representatives of investment companies, design and architecture bureaus, real estate agencies, construction companies, government agencies, financial organisations, banks, consulting and IT companies, as well as brokers and private entrepreneurs to visit its debut event. Caspian Realty creates a wealth of lucrative opportunities for market professionals and independent investors, as participating companies will make use of a single platform to present the maximum number of profitable and reliable offers to suit the needs of potential buyers.